‘What’s the big deal about Ina Garten’s Engagement Chicken that I’ve been hearing so much about? ?’ I thought to myself. Well my dear reader, let’s find out! Ok, first, let me just tell you how much I love Ina Garten. There are tons of chefs out there that I admire – Chris Consentino, Heston Blumenthal, Jaques Pepin, Julia Child, and let’s not forget my ultimate pretend boyfriend, Jamie Oliver. I like them all for different reasons. But Ina Garten has something else that makes her super special. I think it’s because she cooks food that has that element of love they say needs to be in food to make it super delicious. Also, she uses ingredients that are simple and identifiable while still making the final product seem to lean to the “high brow” set. Best of all the food is easy, yummy, easy, fun to make, and oh, did I mention easy? So let’s talk about Ina Garten’s Engagement Chicken recipe. The idea of this recipe is that a woman should cook this meal for her boyfriend in the hopes to blow his mind with her culinary skills so that he will, right then and there, ask her to marry him. 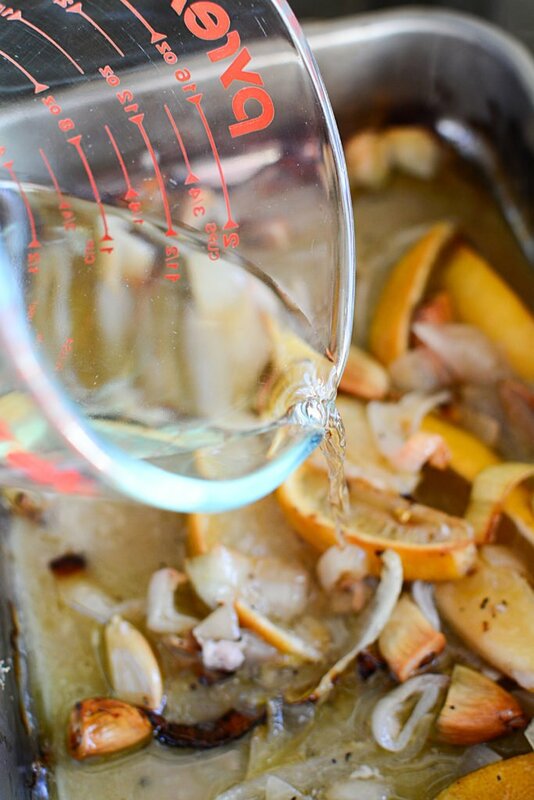 Honestly, I think the recipe started out as Ina Garten’s Roast Chicken Recipe – but as more and more women made it for their man, more and more engagement proposals were coming down the pipe, so they changed the name and the story behind the recipe. Who cares though if the recipe has something magical about it, right? So, changing the premise from regular roasted chicken to engagement chicken? Apparently, it’s worked. Well.. let’s just say that it apparently worked for Meghan Markle and her handsome fiance. You know.. PRINCE HARRY…. yeah, that incredibly gorgeous dude. According to the stories, she whipped up this recipe, and he was so enamoured with her chicken wrangling skills in the kitchen that he popped the question! While I didn’t make this recipe in the hopes of lasso’ing some dude into asking me to marry him, I DID want to see what the hype was all about. I mean, come on, – it made the most famous and gorgeous eligible bachelor give up his singlehood for life!………………. FOR LIFE!! The recipe (which I’ll link below) is quite easy and straight forward. 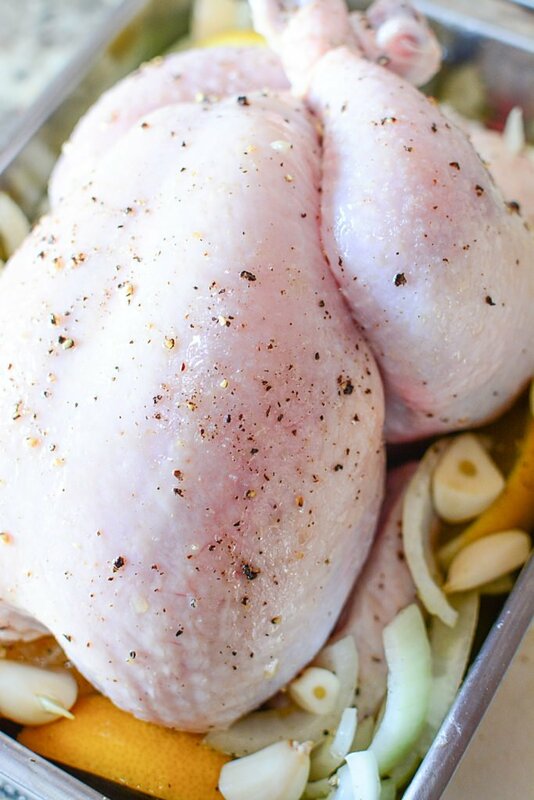 Be sure to wash that chicken (I like to put a bit of vinegar or lime juice in the water just cuz I’m extra like that..lol) thoroughly, inside and out. Pat dry. Season the inside of the chicken with salt and pepper. 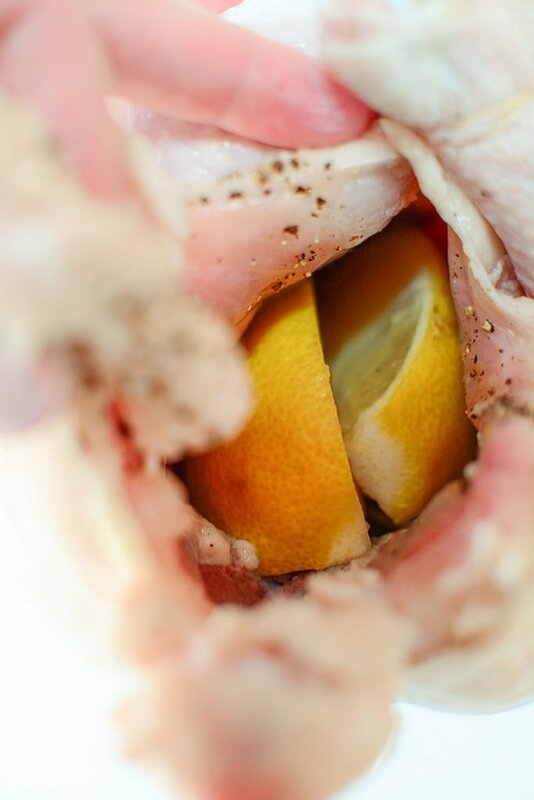 Cut the 2 lemons in quarters and place two pieces on the inside of the chicken cavity. 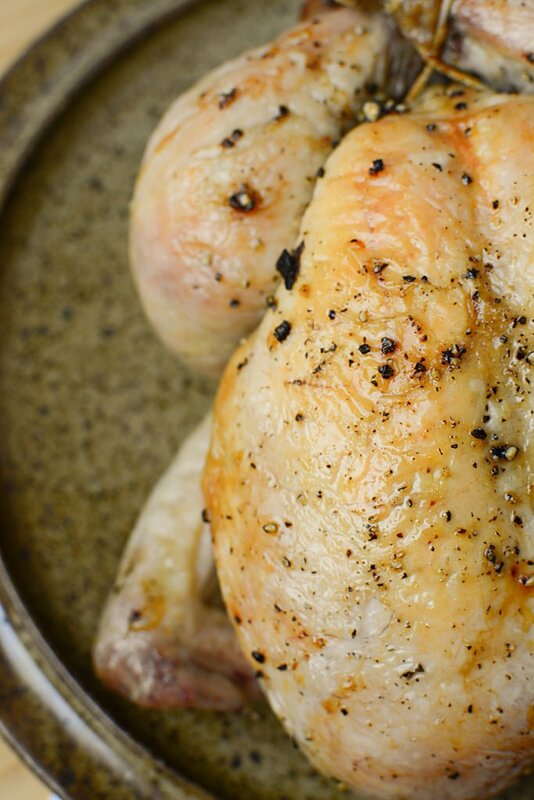 Place the chicken in a roasting pan that’s just slightly larger than the chicken itself. Set it aside. In a bowl, cut up the onions and the other lemon. 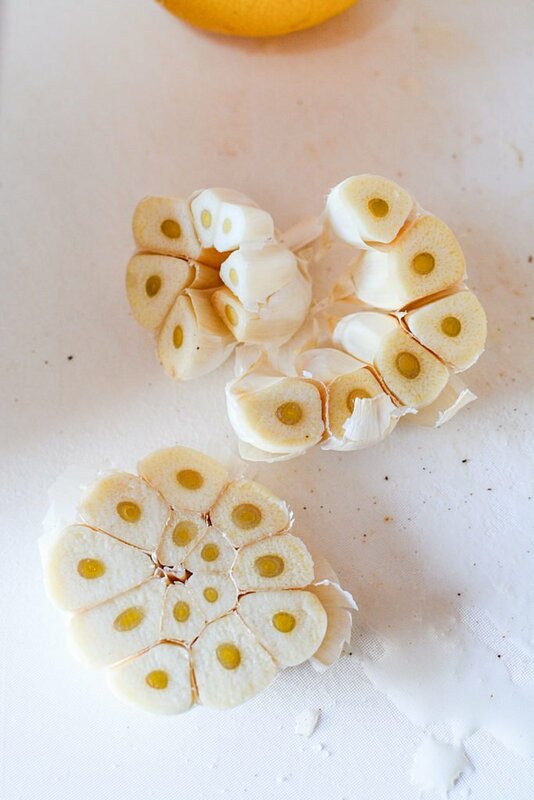 Cut the whole head of garlic in half LENGTHWISE. Then, stuff the one half inside the chicken, which I almost forgot to do but the lightbulb came on near the end when I stared at the garlic wondering what it was doing there. The other half of the garlic was falling apart, so I took the skins off each clove and added them to the lemons and onions. 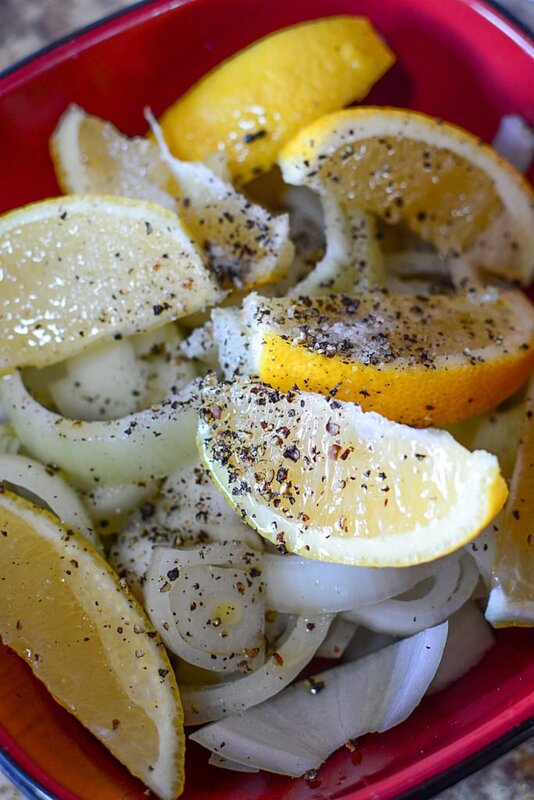 Season the lemon, garlic and onion mixture in the bowl with salt and pepper and 2 tbsp of oil. Arrange them around the chicken in the roasting pan. 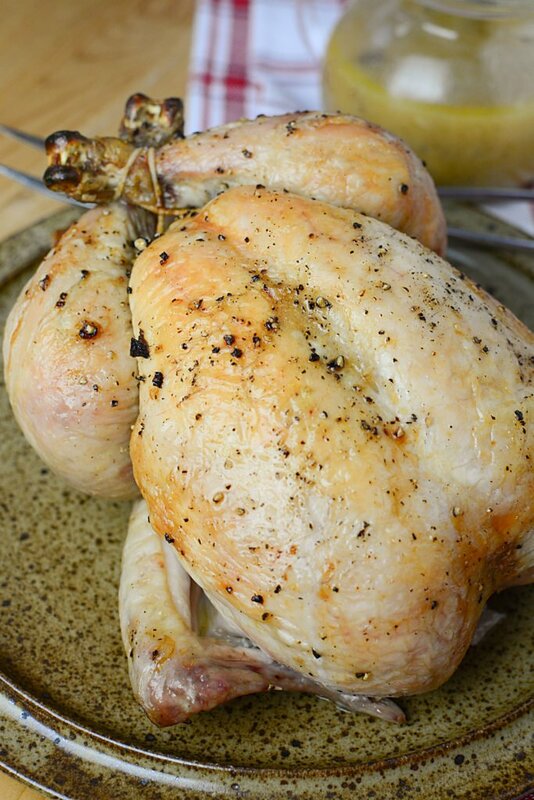 Roast the chicken for 1 hour and 15 minutes. The recipe says if you poke the chicken in the crevice where the thigh meets the body, and the liquids run clear, it’s ready. As an experienced cook, you might be able to use your intuition and gauge that the bird is cooked, right? Take the chicken out and set it aside, tented, to rest. Place the roasting pan on the stove top (or if it’s not stove top friendly, just transfer everything into a heavy pot). Add the wine, stock and flour and heat it until the sauce boils and thickens. Slice the chicken as you wish, and serve with the lemon/onion sauce. 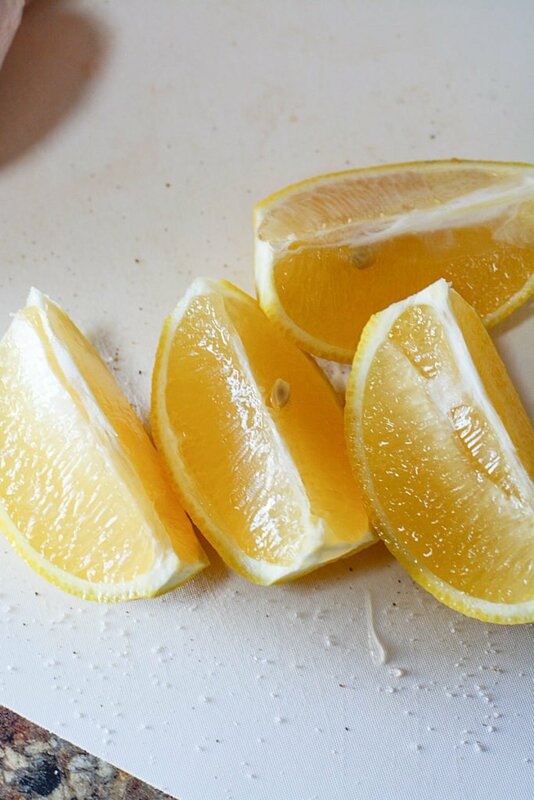 One lemon is enough. I would use one half inside the chicken, and then maybe another quarter, sliced in tiny pieces, to accent the rest of the surrounding ingredients. I found the use of two whole lemons made the sauce quite bitter and too lemony. Strain (which I did) the sauce, because personally, biting into whole cloves of garlic (roasted or not) can’t be conducive to encouraging a proposal?? You could consider making this without the wine and use more stock instead, but if you use wine, be sure to use a type you prefer to drink because those cooking wines are just nasty. If you like the taste of the wine, you’ll love it in the recipe. I thought the cooking time was perfect for a 3 – 4 lbs chicken. My chicken came out juicy and perfectly cooked but for new cooks, the recipe should state chicken temperature guidelines. I think, for the most part, this recipe is GREAT, however, I don’t think it’s that mind-blowingly awesome to spur a guy to get on one knee, food love drunk, and ask her to be his wife. But, I could be wrong, I’m only going on my preferences for taste. 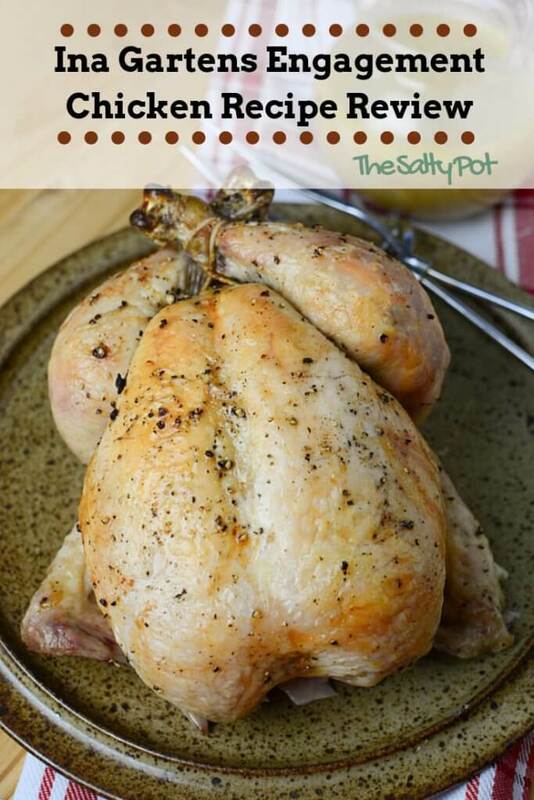 It was really well cooked/roasted and had an amazing flavor for roast chicken. Also, because I’m a strong believer in not wasting anything. 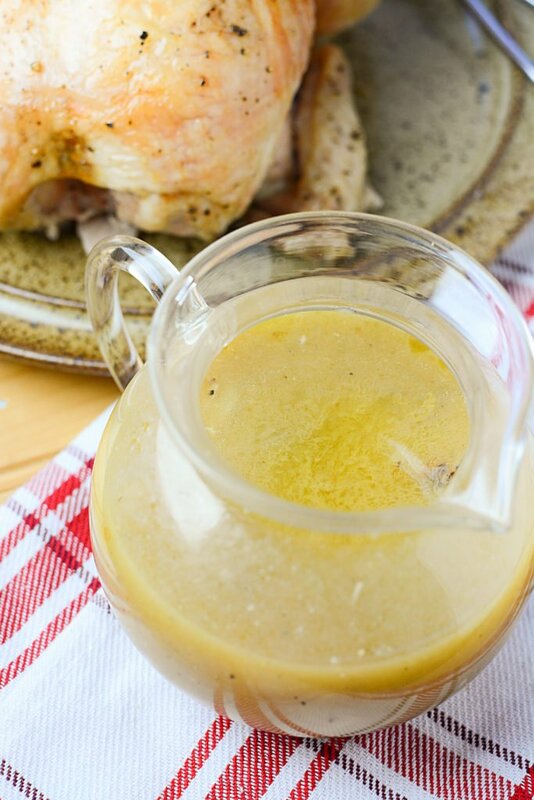 I would save the bones and such to make a stock with because stocks can be so incredibly versatile in adding extra flavor to the dishes you create. So not surprisingly, I DID save those bones and did an instructional post on how to make your very own stock from scratch . 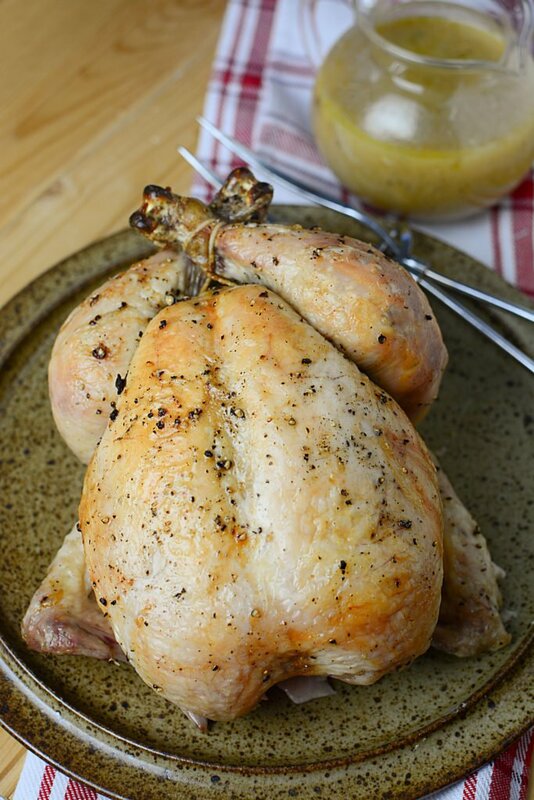 So there you have it, there’s my review on Ina Garten’s Engagement Chicken! If you’re not familiar with Mrs. Garten, you can head on over to her website (I’ll link it below), watch her on youtube (again, I’ll link below), and watch her cook some amazing dishes for her super cute hubby Jeffery or hosting a fabulous dinner party that I’d love to be invited to someday. lol. Engagement chicken recipe link here. « 20 good for YOU snacks! How much stock??? And flour?? Hi Kelsey. I intentionally did not write the recipe up in the post because it’s not my recipe to claim. It’s Ina Garten’s recipe, I was only testing it. If you look in the post, I linked her website, the episode and the recipe for your reference, but I’ll paste it here for you as well. This recipe I will surely make! 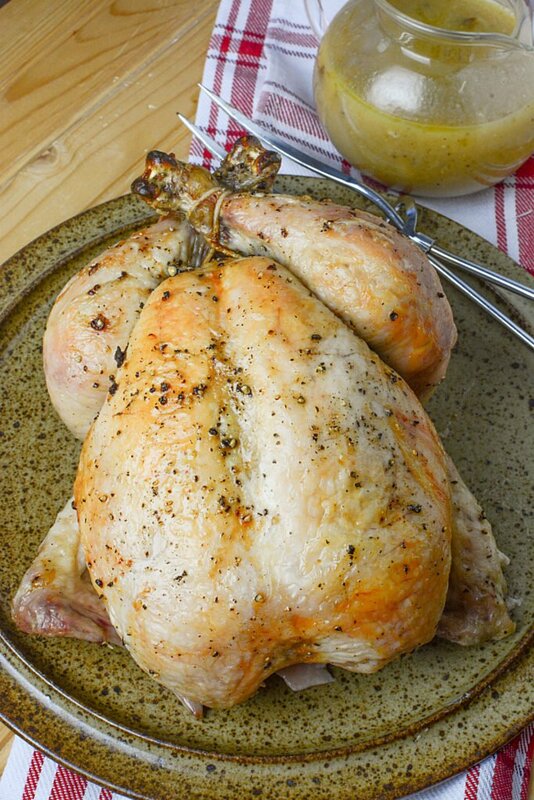 I love lemon sauce on baked chicken. Hi Laurie! Thanks for taking your time to reply! I love lemon and chicken together as well. Let me know what you think of this recipe, I’d love to hear your feedback!